Entertainment and media are undoubtedly the most powerful communication tools in the world today. Together they have helped shape perspectives, influence outcomes, and present narratives in such a way as to impact the way we live. There are plenty of negatives to the power of entertainment and media, none of which can’t be dismantled and fought against by positive narratives and movements, however. 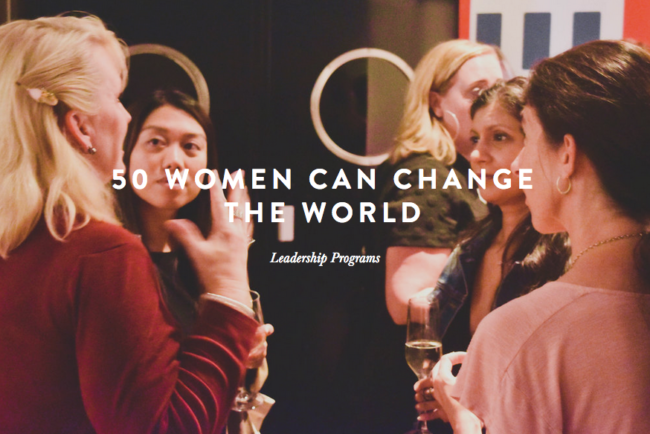 That is exactly what a new initiative called ’50 Women Can’ aims to do, by bringing together 50 powerful women from different areas of the industry to form a coalition to elevate the voices, experiences and presence of women. The initiative comes from best-selling author and women’s advocate Gloria Feldt, whose organization Take The Lead was created to empower women to step into their power wherever they are and in whatever industry they work in. This is not about “breaking in” or learning new ways to cope with systemic flaws, though it is important to understand the existing systems in order to change them. It’s about building something new based on the experience of a diverse group of women and changing the system. Through a nomination process toward the end of 2017, 50 women were chosen and announced in early January. They are diverse in ethnicity, age and skill-set. The women include Emmy Award-winning documentary filmmaker of ‘The Empowerment Project’ and ‘Losing Sight of Shore’ Sarah Moshman, founder and CEO of #WeAllGrow Latina network Ana Flores, director of CBS Entertainment Diversity Whitney Davis, founder and executive director of GlobalGirl Media Amie Williams, director and activist Maria Giese (who started the investigation into Hollywood’s discriminatory hiring practices toward female directors), and GirlTalkHQ’s very own founder and editor-in-chief Asha Dahya. The leadership team for this cohort is headed up by Gloria Feldt (and will incorporate a number of leadership training skills created through her Take The Lead program), women’s leadership development coach Tabby Biddle, and See Jane Do founder Elisa Parker. There is also an advisory committee of industry executives and activists, including actress and GirlUp ambassador Monique Coleman. Over the course of 4 months between February and May 2018, the women will gather for a series of workshops and networking events to create action steps and ideas to create change where they are positioned. The focus on leveraging the power that all the women involved already have is strategic. Creating change in a behemoth of an industry like Hollywood does not happen overnight, but with the right energy and perspectives it will happen. The decision to include a range of different expertise within the industry is also important as gender equality happens as much at the very top as it does throughout the entire system. Through partnerships with like-minded organizations, the initiative also includes opportunities to engage with other women at customized programs, salons, panels, screenings and other events connected with gender parity and amplifying women’s voices. 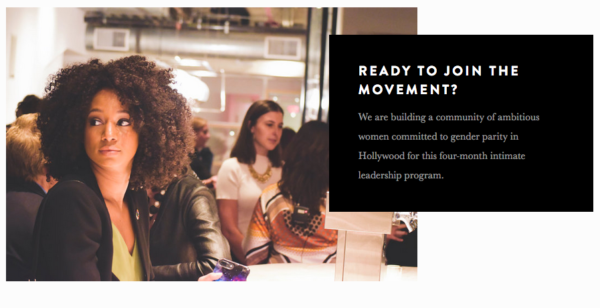 As Tabby Biddle told us in an email, this initiative is a solution-oriented form of action to the problem in Hollywood and is an attempt to see what happens when more women are in power. “Through our initiative, we are redefining power. We are moving away from the old-style patriarchal ‘Power Over’ paradigm to a new, more feminine-based ‘Power TO’ and ‘Power With’ paradigm. What can we do together. How can we work together to create great films and television programming that represents a wider array of perspective and experiences. We’re looking to change how business is done in Hollywood and break down the gate-keeping barriers,” she said. As the Geena Davis Institute on Gender in Media often touts in their research, “if she can see it, she can be it”, and it is high time we start seeing more diverse representations of women on-screen, behind the camera, making executive and creative decisions. We’re excited to see (and be part of!) a movement that seeks to bring more voices, stories and experiences into the world’s most influential communication vehicle, working toward gender equality. Learn more about ’50 Women Can’ as well as the badass group of women taking part in this initiative.